Logic PM spent a morning on the Constructing Excellence stand at KentChoices4U Live, a major careers event at Detling Showground in Kent. 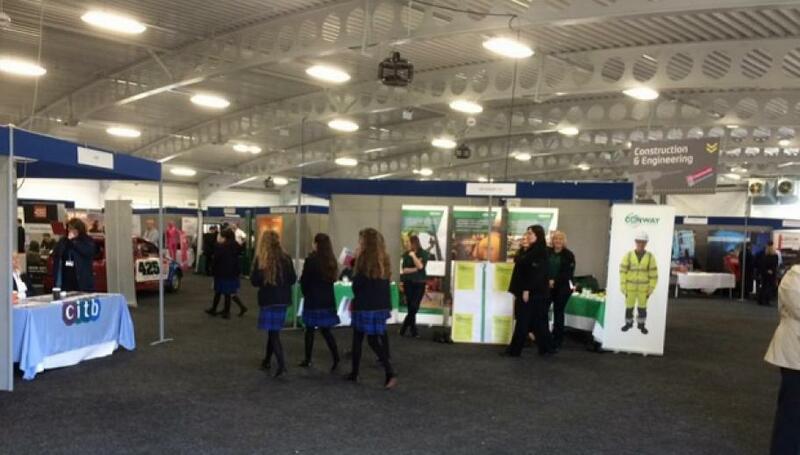 More than 100 business exhibitors gave young people of school age the opportunity to find out more about a range of careers, including construction, before making their ‘post-16’ choices. Business Development Manager Keith Grimley commented, "KentChoices4U Live is a fantastic opportunity for young people to gain an insight into a wide range of future career options. The format of the careers fair is engaging and we spoke to a lot of young people. Aimed at students from the age of 11 upwards, KentChoices4U is a rare opportunity to gain early exposure to the world of work."